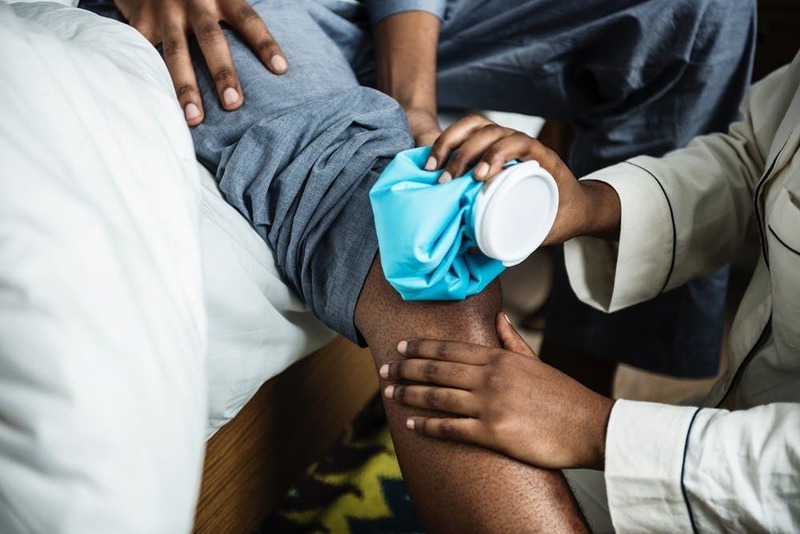 Injuries afflict all athletes – both professionals and amateurs. How to prevent them? If you do a sport which substantially engages a lower part of the body (e.g. football, basketball, tennis or running), remember to adapt training to your discipline. A good idea is to change the run speed regularly: cover 35m with 75% of your capabilities and then slow down and jog for 10 m; afterwards speed up again, etc. Repeat this workout from four to five times. Do not forget about natural shock absorption! Knee cruciate ligament damage is a typical kind of injury. They arise from stumbling or wrong landing on the ground. What you have to do is bend your knees when you fall to reduce the injury risk. The sports which require moving in all directions need a special training – a single warm-up is not enough. You must move as your sport requires you to do: forward, backward and sideways. This way you can prepare your muscles for efforts. It is important that you relax your arms before any intensive workout. To secure your arm against an injury, have one arm stretched sideways, bend your elbow at a right angle so that your forearm is directed upwards, and then bend your arm backward until it starts resisting. Hold this position for 30 seconds. If you work out for over one hour, you should drink not only water but also isotonic drinks which include carbohydrates and electrolytes. During an intensive workout you remove mineral salts from your organism, and water itself cannot supplement them. Do you go snowboarding? Take care of your joints: buy wrist guards. Thanks to them, you can secure yourself against injuries. Do you run? If so, you have to purchase relevant running shoes. Go to the shop in the afternoon because your feet are swollen after the whole day – and this is the size you need for workouts. The above-stated tips are just examples of hints for sport lovers. If you wish to learn more about how to prevent injuries, which sport equipment to buy and what you should never forget during workouts, enter https://product-port.com/.